A British startup plans to debut a Braille e-reader for blind people this year that should greatly enhance their reading experience and spare them from lugging around hefty print volumes. 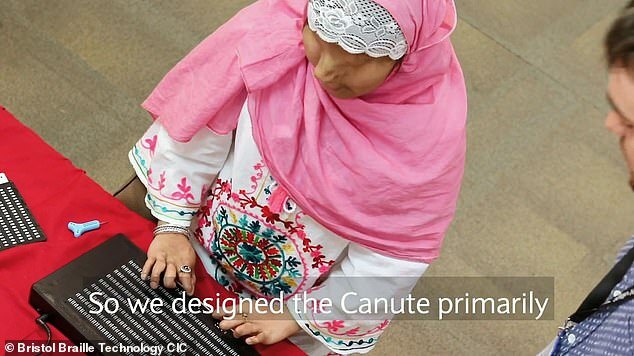 Canute 360 is the world's first multi-line Braille e-reader. It can display nine lines of text at a time, or about a third of a page of regular print. It uses a tiny Raspberry Pi computer and specially designed mechanical switches. 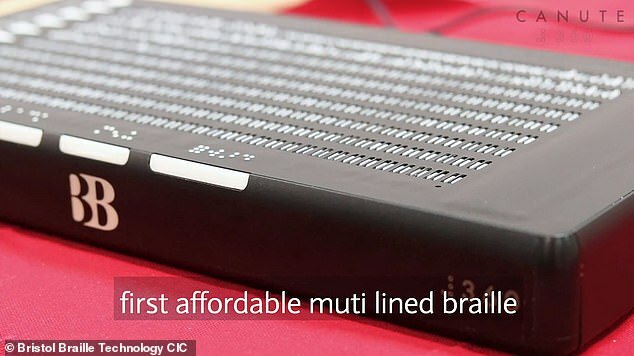 The company says it's the world's first multi-line Braille e-reader, displaying nine lines of text at a time, or about a third of a page of regular print. 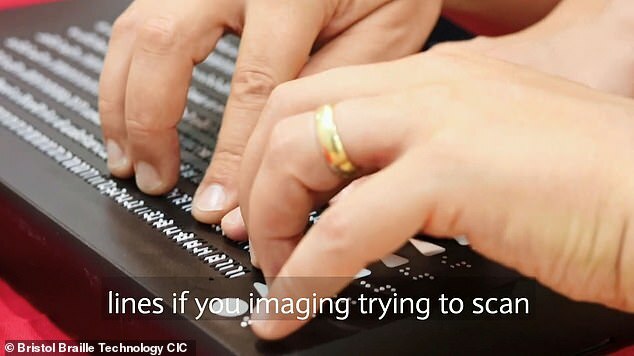 'This means you only have to press the forward button every 360 characters rather than every 20,' said Stephanie Sergeant, whose company Vision Through Sound provides training for blind people and has been working with Bristol Braille. 'It refreshes a line at a time, starting at the top. 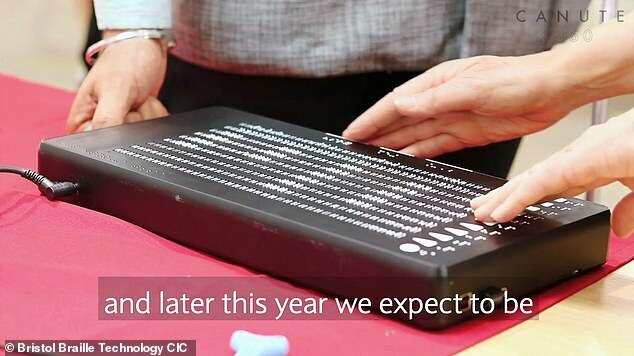 'Innovations in the field of Braille technology make this a very exciting time for Braille readers,' said Claire Maxwell, senior product developer for Braille at the Royal National Institute of Blind People. Previous reports have suggested that the Canute could cost an upwards of $700. Ed Rodgers, Bristol Braille Technology's managing director, said the Canute is almost ready to go to market now, after being in development for almost six years. A prototype device developed by MIT Media Lab's Fluid Interfaces group enables the wearer to scan a text line with their finger and receive an audio feedback of the words. It also provides motion feedback in the form of small vibrations to make sure that the user doesn't veer away from the text.